Colonel John J. Fitzpatrick, Jr., Esq. presented the personal, political, and policy issues and pressures impacting President Lincoln when he came to Gettysburg, only once for about 24 hours on November 18 and 19, 1863. We saw how the President dealt with them and channeled many of them into the Gettysburg Address. The country was fractured, the Civil War was ongoing, there was no end in sight—and the President was not even invited as the Keynote Speaker! In short, we learned of his three goals and heard the real back-story to the immortal Gettysburg Address. 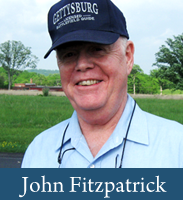 John Fitzpatrick is an attorney, arbitrator, aviator, reenactor, veteran, and Licensed Battlefield Guide Emeritus at the Gettysburg National Military Park, Pennsylvania, who brings those perspectives to his tours at Gettysburg and to this presentation. Since 2009, John has made this presentation 50 times in 7 different States and the District of Columbia. This entry was posted in Meeting archive on February 27, 2017 by hlj. History is a dialogue between the present and the past. It’s a truism. But it begs the question, “What use is the past to the present, and what use does the present make of the past?” Because if the past is to have any significance, it’s up to the present to find it, and to use it to cast light on the present. Conventional histories are written to establish that connection. Without it, they are either adventure tales or antiquarianism. In the case before you tonight, an obscure “almost”—the attempted, and nearly successful kidnapping of Abraham Lincoln by John Wilkes Booth and his gang, led to the creation of a play based on the almost-event. When the medium changes from the printed book to the stage, the mode of transmission is also changes. How is making this use of the past similar to, and different from, a work of history? Douglas Rees holds a master’s degree in history from UC Riverside, where he studied the Civil War under Hal Bridges. He is the author of a number of books for young people, including Lightning Time, a novel about the Harper’s Ferry raid, and a number of plays which have been produced locally, and in venues from Los Angeles to Panama, including Kidnap! ; Or, The Abduction of Abraham Lincoln by John Wilkes Booth and Company. This entry was posted in Meeting archive on January 30, 2017 by hlj. Civil War Quiz: What Did the Southern Home Front Have to Deal With? Q#1 – At the beginning of the Civil War, approximately what percentage of Southern families owned slaves? Q#2 – At the bottom of the Southern economic ladder were 2 million or so impoverished whites; what nicknames were they called? Q#3 – What employment exclusion of the 1862 Confederate conscription act establishing a military draft was most often violated by draft boards attempting to meet their draft quotas? Q#4 – At the start of the Civil War, the North had approximately 22,000 miles of railroad tracks. How many miles existed in the South? Q#5 – As the war continued, food shortages across the South increased resulting in skyrocketing inflation. For example, during the winter of 1864, in Richmond, what was the cost for a pound of bacon? Q#6 – What were the two main reasons why so many of the South’s 260 institutions of higher learning closed during the Civil War? Q#7 – What recurring theme regarding slavery permeated the homilies of Southern ministers at their Sunday church sessions? Q#8 – The Civil War radically changed the role of women in Southern society. What was the prevailing role for women before the war? Q#9 – The vast majority of Southerners differed dramatically on exactly what they were fighting for. Where were the origins of Southern loyalty planted? Q#10 – What two actions by the Confederate Congress in 1863 had a devastating impact of the food supply throughout the South? Q#11 – What type of graft was very common among Confederate Commissary units? Q#12 – What Union general became known as the “Beast of New Orleans”? Q#13 – When the Confederate Congress approved printing money that was not backed up by gold, what process was implemented that (unsuccessfully as it turned out) would reduce counterfeiting? Q#14 – In 1864, in a desperate effort to replace huge losses in their armies, how did the Confederate government revise its draft laws? Q#15 – During the period October 1, 1864, to January 1865, how many Confederate soldiers deserted their armies? This entry was posted in Quiz on January 28, 2017 by hlj. 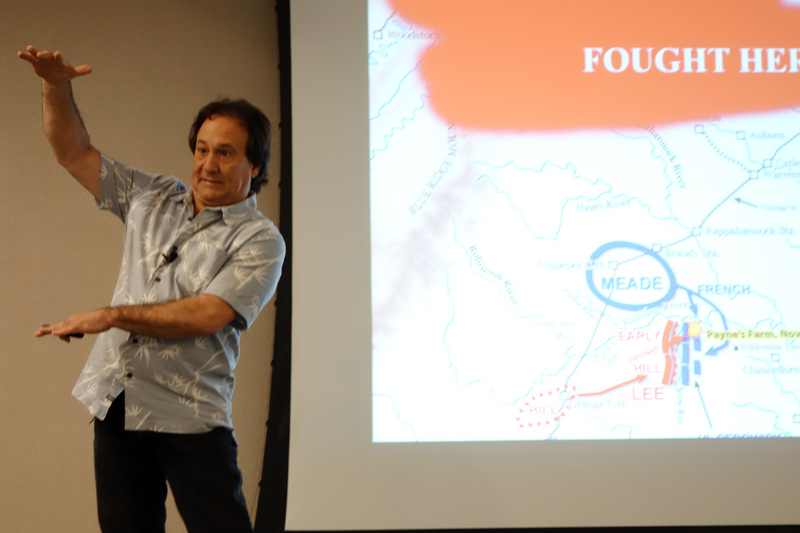 Ted Savas gave a unique presentation on how he discovered, mapped, and ultimately preserved an important “lost” Civil War battlefield. The short but bloody battle was fought in Northern Virginia on November 27, 1863, and was much more important to the course of the war than previously known. The engagement was the first in Federal general George G. Meade’s ultimately unsuccessful Mine Run Campaign, which was designed to cross the Rapidan River quickly, march behind General Lee’s exposed right flank, turn it, and crush the Confederates. Although it got off to a good start, one wing of the Federal Army got bogged down fording the Rapidan River and unexpectedly ran into one of Lee’s veteran divisions, triggering the critical Payne’s Farm combat. 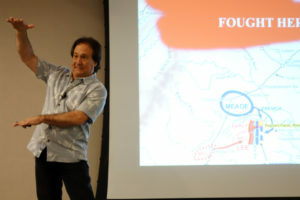 Ted gave a PowerPoint presentation with extensive photos, maps, and commentary, including showing hundreds of relics he discovered on the field. He also welcomed questions on how to get published, writing history, and other topics. Theodore P. Savas is an award-winning author, attorney, publishing consultant, and the managing director of one of America’s leading independent publishing companies (Savas Beatie LLC: www.savasbeatie.com). Ted founded the South Bay Civil War Round Table in 1989; its first meeting of four people was held in his living room in San Jose. This entry was posted in Meeting archive on January 3, 2017 by hlj. Civil War Quiz – What Do You Know About Life of the Everyday Soldier? Q#1 – At the beginning of the Civil War, what was the “fancy idea” that most volunteers for the army harbored regarding what would be their principal occupation as a soldier? Q#2 – On the eve of the Civil War, what was the total number of enlisted men in the United States Army? Q#3 – What was the main reason men fought in the Civil War? From the North? From the South? Q#4 – At the start of the Civil War, what was the name of the tent that was most frequently used by both North and South? Q#5 – At full strength, how many companies of about 100 men each made up an infantry regiment? Q#6 – What was the main reason why the election of company officers was abolished and replaced with a board examination process? Q#7 – Which military rank in a company dominated a soldier’s everyday life and existence? Q#8 – What was the most frequent activity performed when soldiers were in camp? Q#9 – For doctors who served in the Civil War, what were the requirements for them to enter medical school? Q#10 – How did doctors during the Civil War view infection and the festering of a wound, known as laudable pus? Q#11 – What was the most contagious disease that recruits contracted when they joined the army? Q#12 – In some portions of the Confederate Army, the names “The Virginia Quickstep” and “The Tennessee Trots” were associated with what medical malady? Q#13 – Quality of the food was a major problem for both sides. What was the most frequent problem with Hardtack? With Corn bread? Q#14 – What were the two main reasons prisoner exchanges were formally discontinued in 1864? Q#15 – By the end of the Civil War, counting both sides, how many prisons were created and how many men were imprisoned? This entry was posted in Quiz on January 2, 2017 by hlj. In this C-Span DVD, Tim Smith discusses the frequently overlooked story of the role and impact of the Battle of Gettysburg on the local civilian population. The video includes a brief history of the town of Gettysburg and how its location was pivotal to why the battle was fought there. Tim’s discussion includes testimonials from civilians describing their actual experiences before, during, and after the battle. Letters and diary entries serve as the sources for much of the description of the impact on the Gettysburg civilians. The presenter describes in detail how civilians were tasked with a number of overwhelming responsibilities such as assisting in the care of over 20,000 wounded soldiers, the disposal of thousands of dead horses, and the removal of the massive amount of wreckage of military armaments. Tim Smith is a native of Baltimore, Maryland, and has been a Licensed Battlefield Guide at Gettysburg National Military Park since 1992. 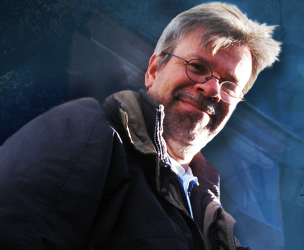 Tim is the Research Historian for the Adams County Historical Society, and has written numerous articles, booklets, and books about the Gettysburg area including co-authoring the book Devil’s Den, A History and Guide. The DVD is about 45 minutes in length. This entry was posted in Meeting archive on October 9, 2016 by hlj. Civil War Quiz – What Do You Know About the War Along the Mississippi River? Q#1 – At the beginning of the Civil War, what city was considered the most strategic along the Mississippi River? Q#2 – Which Union commander was placed in charge of naval operations on the Mississippi River? Q#3 – What naval battle on the Mississippi River in June 1862 resulted in a crushing defeat for the Confederate forces, and marked the virtual eradication of a Confederate naval presence on the river? Q#4 – This ground and naval battle was fought on August 5, 1862, and resulted in the Union capture of which major Confederate State Capital? Q#5 – What were the names of the two Confederate forts that guarded the mouth of the Mississippi River south of New Orleans? Q#6 – What action by Union Major General John McClernand infuriated Maj. Gen. Ulysses S. Grant and caused both General-in-Chief Henry Halleck and Grant to totally revise their campaign strategy for capturing Vicksburg, MS? Q#7 – General John C. Pemberton, Confederate Commander of Mississippi, was suspected of having divided loyalties – why? Q#8 – What was the name of a river located northeast of Vicksburg, MS, that was critically important to the Union plans to capture Vicksburg? Q#9 – What was the failed attempt by Gen. Ulysses S. Grant to float gun boats and his infantry past Vicksburg without coming under the fire of Confederate guns? Q#10 – What was the name of the Union naval commander who successfully sailed his ships past Vicksburg as part of General Grant’s plan to land infantry troops of the east shore of the Mississippi south of Vicksburg? Q#11 – The 1959 movie entitled “The Horse Soldiers” starring John Wayne was based on what actual Civil War event related to the eventual capture of Vicksburg, MS? Q#12 – Once General Grant had landed his army below Vicksburg, which three major battles were fought during May 1863 that eventually led to the Siege of Vicksburg? Q#13 – What was the name of a key Confederation fortification that was the main target for Grant’s May 22, 1863, assault on Vicksburg? Q#14 – In an attempt to break through the Confederate defense at Vicksburg, General Grant approved an action that almost a year later would be attempted again during the siege of Petersburg, VA. What was the action? Q#15 – Before surrendering Vicksburg, Confederate commanders considered and then rejected what last maneuver? This entry was posted in Quiz on October 7, 2016 by hlj. 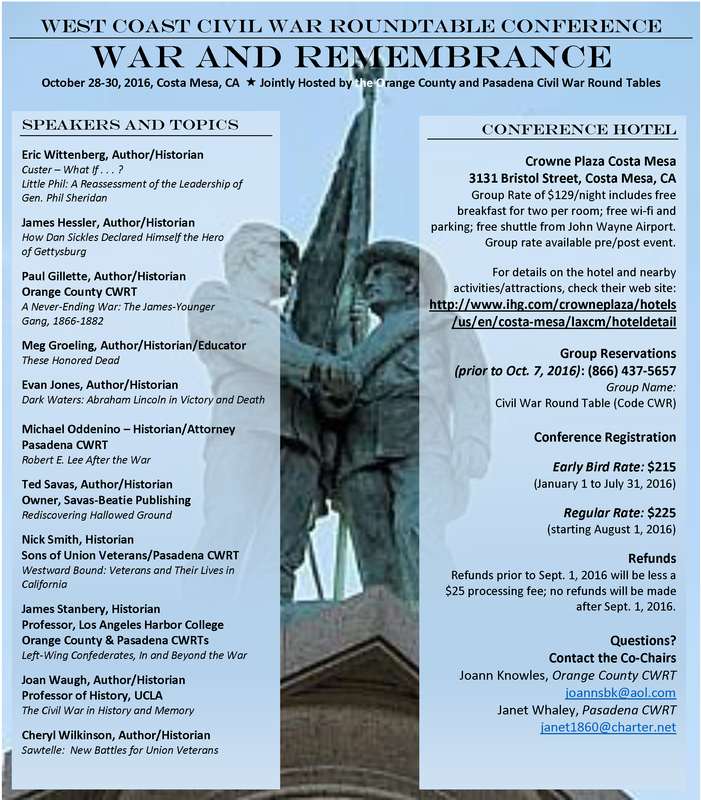 Click the graphic to download the flyer and registration form. This entry was posted in News on October 5, 2016 by hlj. As the secession crisis came to a head in the winter of 1861, an obscure military engineer, Charles Pomeroy Stone, emerged as the rallying point for the defense of Washington, D.C., against rebel insurrection or attack. He was protector of the president and right hand man of the army’s commanding general. Nevertheless, in just a year, this same hero sat in a military prison accused of incompetence and disloyalty. Like other Union officers, Stone had the misfortune to run afoul of politicians who sought to control the war effort by undermining the professional military establishment. Their weapon, the Joint Committee on the Conduct of the War, applied a litmus test of commitment to abolition, loyalty to the Republican Party, and battlefield success for the retention and promotion of army commanders. Stone, a Democrat who did not see the conflict as a crusade against slavery, and who lost his only battle, failed on all counts. Readers of Civil War history know Stone best for his disgrace and imprisonment. His story, however, goes far beyond this unfortunate occurrence — from the Halls of the Montezumas to Gold Rush California, and from the pyramids of Egypt to the Statue of Liberty. 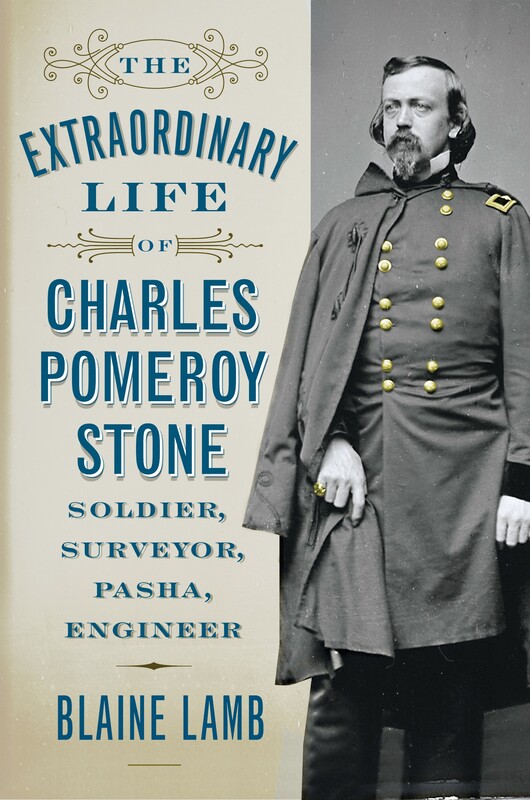 In a presentation drawn from his recently published biography, The Extraordinary Life of Charles Pomeroy Stone: Soldier, Surveyor, Pasha, Engineer, historian Blaine Lamb weaves a narrative of adventure, exploration, war and intrigue with a cast of characters ranging from the dour William Tecumseh Sherman to the flamboyant Ismail the Magnificent. But the center remains Stone himself, a man of honor, steadfast loyalty and tragic innocence. 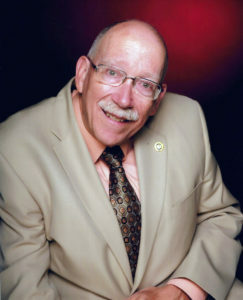 A native of San Diego, California, Blaine Lamb obtained his BA and MA degrees in history from the University of San Diego. He then moved to Tempe, Arizona, and entered the doctoral program in history at Arizona State University, receiving his Ph.D. in 1982. Dr. Lamb returned to California and joined the staff of the State Railroad Museum as an archivist and later became a senior archivist at the California State Archives. 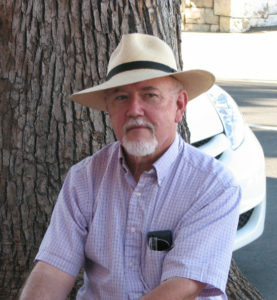 In 2007, he took the position of Chief of the Archaeology, History and Museums Division of California State Parks, where he remained until his retirement in 2012. 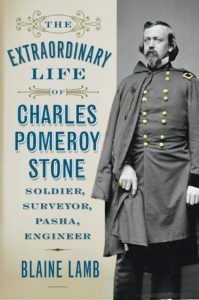 Since retirement, he completed work on his biography of General Charles Pomeroy Stone, which was published in 2016. In addition to the Stone biography, Dr. Lamb’s publications include articles and reviews in California History, Journal of Arizona History, Western Historical Quarterly, Journal of America’s Military Past, Journal of the West, and Overland Journal. This entry was posted in Meeting archive on October 3, 2016 by hlj.